Third Annual Appalachian Culture Day Shadow Grass' evening performance will close out our Third Annual Appalachian Culture Day at the Depot on June 12th. The day begins with the opening of our 7th annual Farmers Market at the Depot, so make plans now to join us for this fabulous event. Admission is free. More details coming soon! We are looking forward to playing for the first time at this festival. 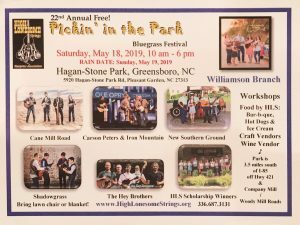 This year's lineup includes Darin & Brooke Aldridge, Redd Volkeart & Bill Kirchen, The Harris Brothers, The Sea Cruisers, and of course, Wayne Henderson and Friends.